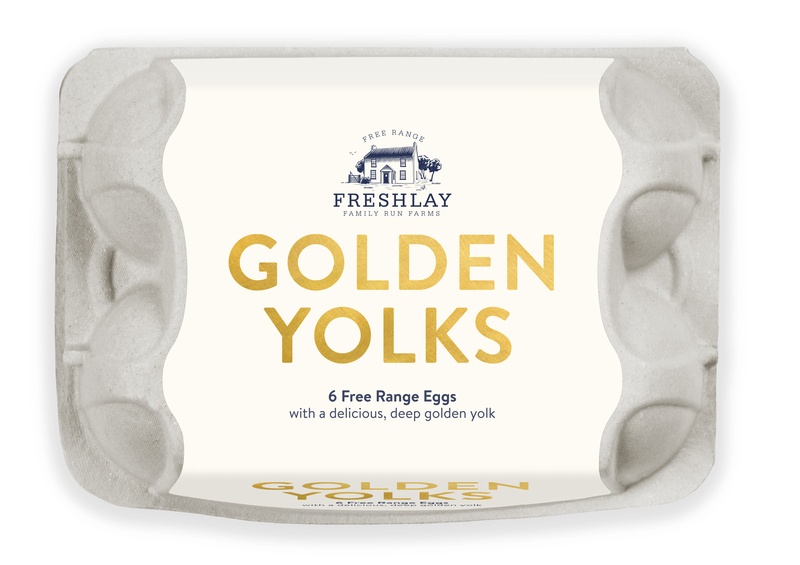 Noble Foods is introducing Freshlay Golden Yolks, a new egg brand with the promise of a deep golden, naturally delicious yolk. Produced on a small collection of farms, free-range hens are fed an enriched diet containing paprika and marigold, which results in a dark golden yolk. “These three farms are some of our most experienced farmers, who always go the extra mile for their hens and have worked closely with us in the development of this special feed,” said Graham Atkinson, Noble Foods’ agriculture director. “Our consumer research revealed that people view the colour of a yolk as the signal of the egg’s quality,” said Stuart Agnew, category and marketing director at Noble Foods. “We believe we are the first company to achieve the dark golden colour through natural additions to our hens’ diets. The eggs will launch in selected Co-op stores from the second week of January with an RSP of £1.75 for six and £2.20 for 10 mixed weight eggs respectively.